Sue is very active in the Concil of Catholic Women, parish council, choir,chair of the art and environment committee, also volunteers as Eucharistic minister and Lector. As chair of the art and environment committee Sue takes great pride in making sure our church is alway looking its best for any occasion. Sue and her husband Don farm in the Manhattan Area. 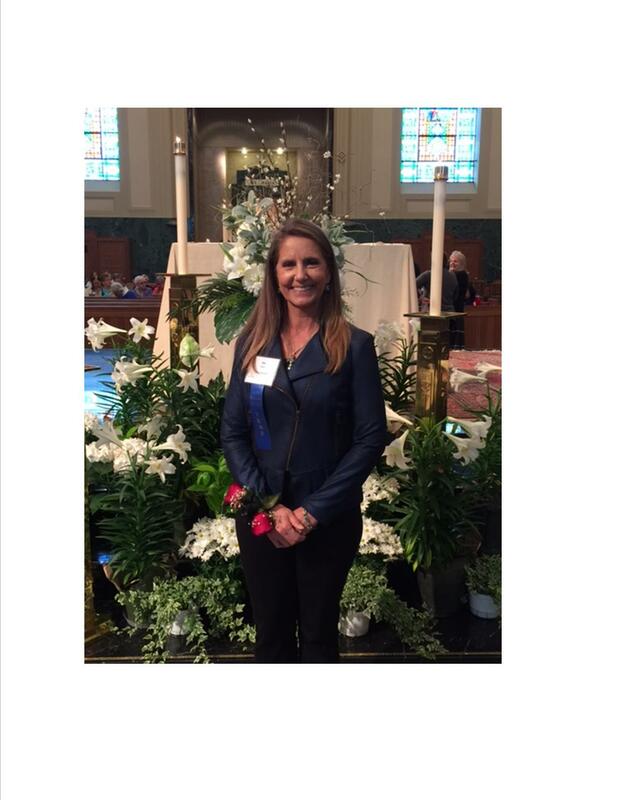 On April 29, Sue, along with other area women of the year, was honored at a special Mass at the Cathedrad celebrated by Most Reverend Joseph Siegel. Thank you Sue for all you do.